THOUGHTSKOTO Thoughtskoto : BDO Blocks Compromised ATM Cards, How To Keep Your Account Protected? 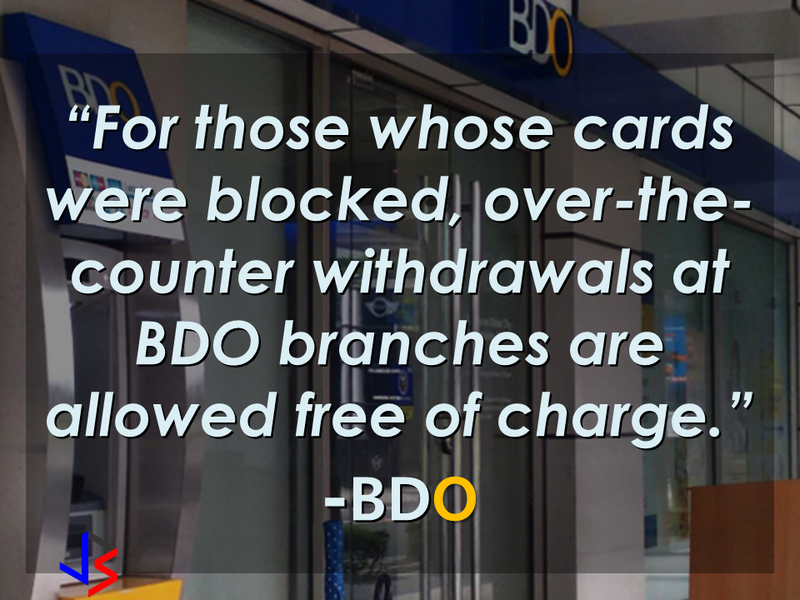 BDO Blocks Compromised ATM Cards, How To Keep Your Account Protected? Is your bank account safe? 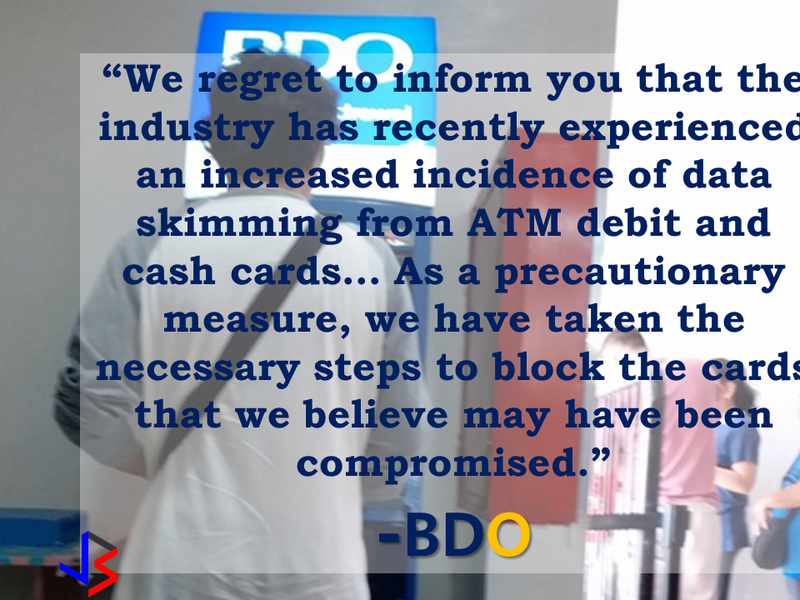 BDO apologized to their clients who will surely experience inconvenience due to the blocking of ATM (automated teller machine) debit and cash cards following an increasing reports of data skimming. BDO is the largest bank in the Philippines in terms of assets. It has 3,700 ATMs in service all over the country. However, BDO did not disclosed as exactly how many cards are being compromised. Instead, they offered alternatives like over-the-counter withdrawals being allowed at their branches nationwide. The compromised ATM cards will also be replaced immediately for free. Some slected BDO branches are open even on Saturdays. Two months ago, the bank has experienced similar skimming issue affected seven out of their 3,700 ATM machines which resulted in questionable transactions. 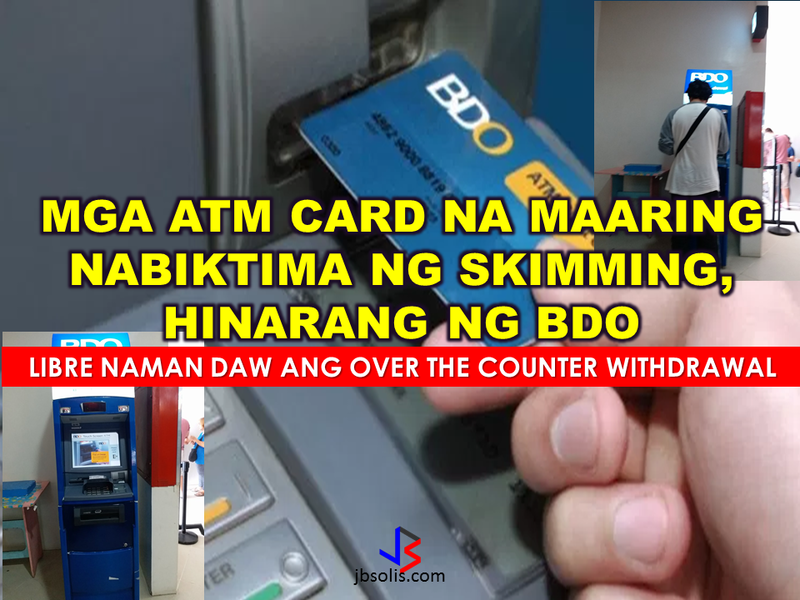 In a Senate inquiry on June 21, "skimming is the unauthorized copying of the magnetic stripe information of the ATM cards," BDO Transaction Banking Group Executive Vice President Edwin Romualdo Reyes said . BDO assures its clients that they will be protected by the bank against these schemes but they need to be equally vigilant. 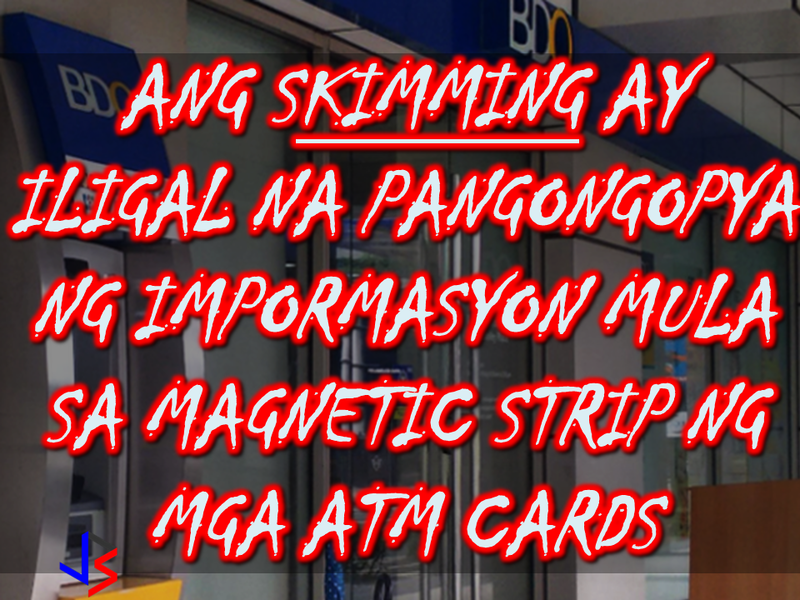 It is the illegal copying of information from the magnetic stripe of an ATM Debit Card, a Cash Card, or a Credit Card. Successful skimming requires both the card data and the PIN. This usually happens in shops, restaurants, gas stations, and other establishments where we use our cards for payment. Perpetrators usually loiter nearby and wait for the victims to use their cards. They will remove the skimming devices after use and copy the captured data into a blank card for account takeover. 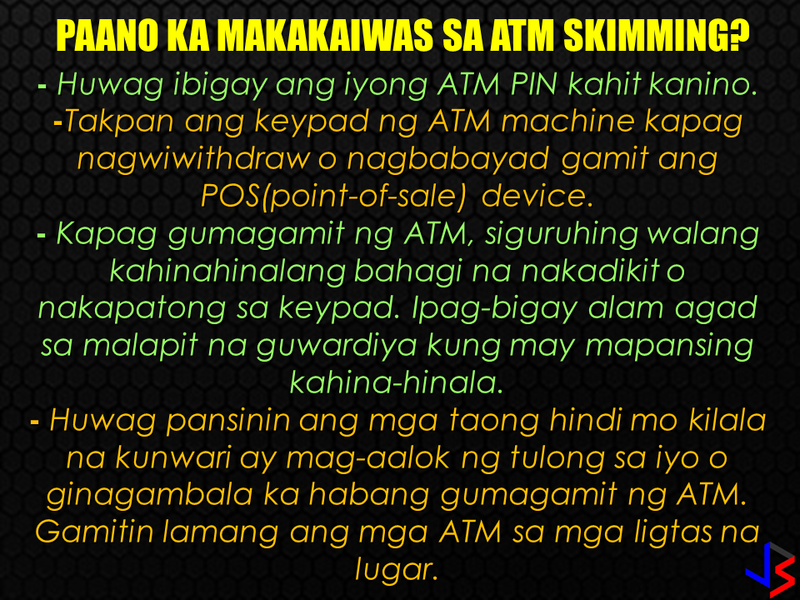 How can you prevent yourself from ATM skimming? Cover the keypad when keying in your PIN at an ATM or point-of-sale (POS) terminal. Do not entertain strangers offering assistance or distracting you while using the ATM. Transact only in safe areas. The Bangko Sentral has ordered all banks to convert their ATM systems into a more secured system such the Europay, MasterCard Visa (EMV) is currently using. EMV cards have an embedded chip that allows more protection allowing the cardholder's information secured from identity theft.